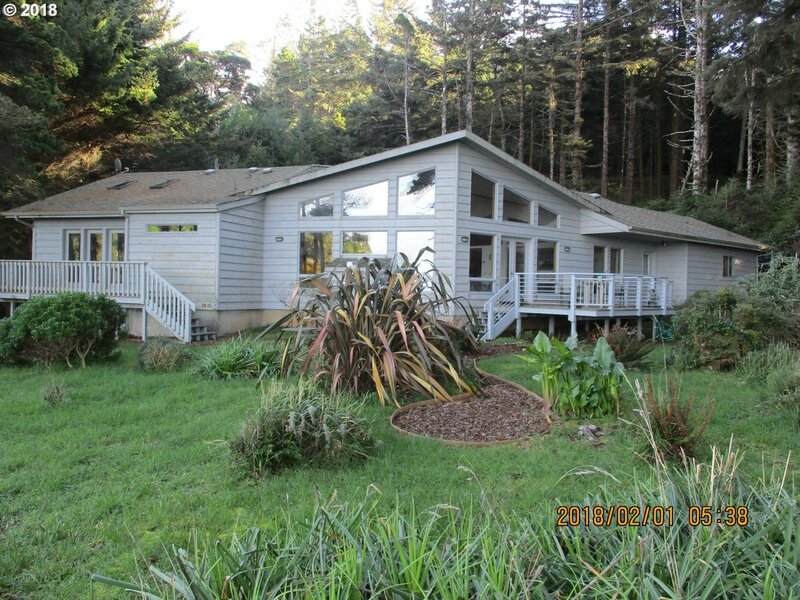 All Port Orford homes currently listed for sale in Port Orford as of 04/26/2019 are shown below. You can change the search criteria at any time by pressing the 'Change Search' button below. 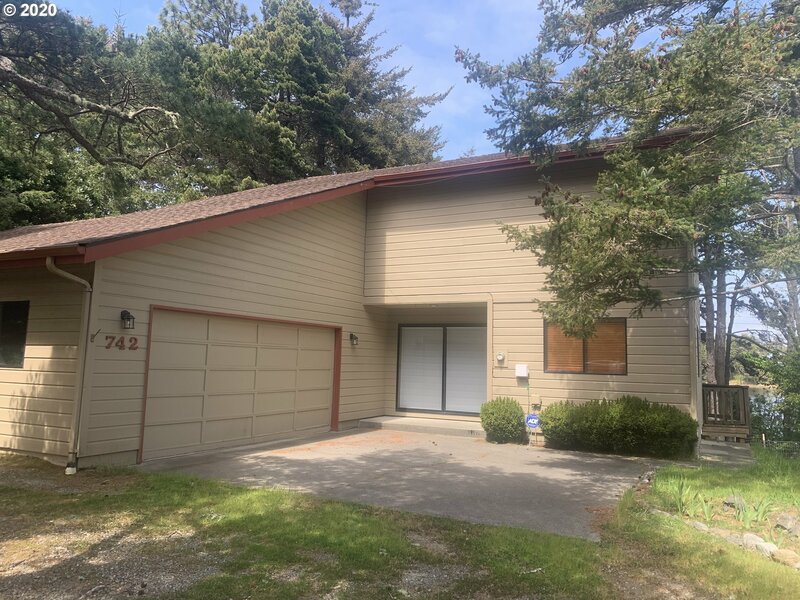 If you have any questions or you would like more information about any Port Orford homes for sale or other Port Orford real estate, please contact us and one of our knowledgeable Port Orford REALTORS® would be pleased to assist you. "UNOBSTRUCTED AND EXPANSIVE OCEAN VIEWS of the Port, Cliff and coastline. Coveted whale watch location at end of a private but not secluded road. Home boasts open floor plan with southern exposure. Property has room for expansion. Guest house overlooks unnamed creek that meanders through property. Easy walk to the beach, hiking trails and close to shopping. Upgrades include new roof and renovated interior. Call for more details!" "A private estate with elevated lake front and ocean views. 2.23 acre property on private circle driveway with caretakers home, shop/carport, private dock access to the lake, and much more. The 2,972 sq. ft. home features a pool/hot tub, rock fireplace, custom wood throughout, updated kitchen, and large living spaces indoor and out with ocean/lake view. 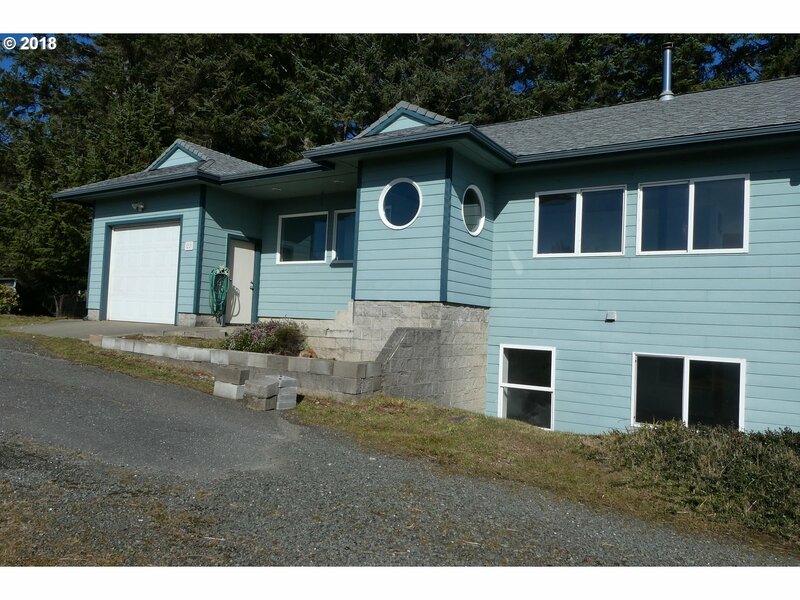 The perfect coastal retreat with close proximity to the beach, lake, and town." 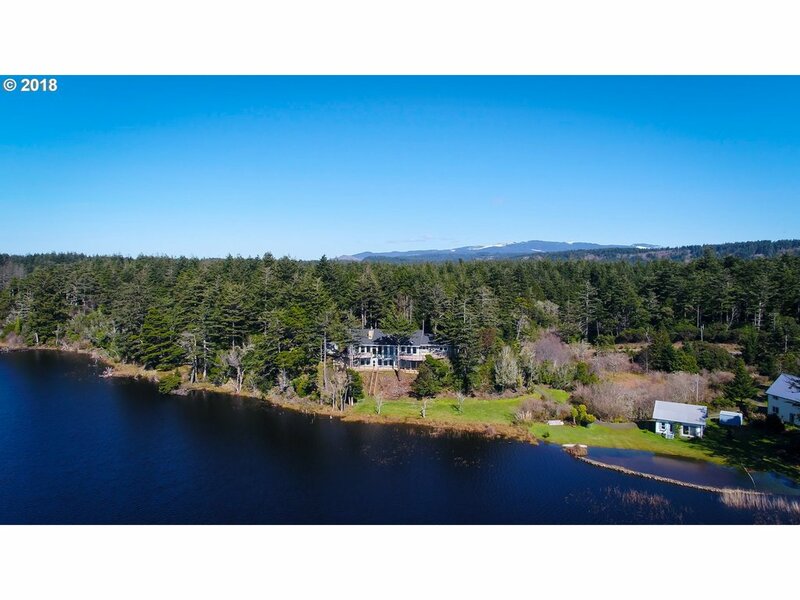 "Garrison Lake frontage with magnificent views of the Pacific Ocean. Exquisite custom home with high-end finishes, beautiful detailing and well thought out floor plan. Spacious and filled with natural light, the primary living area and master suite are on the main floor, with a family room and guest quarters below. A secluded, tranquil environment, in touch with pristine nature, this home is the ultimate vacation retreat." 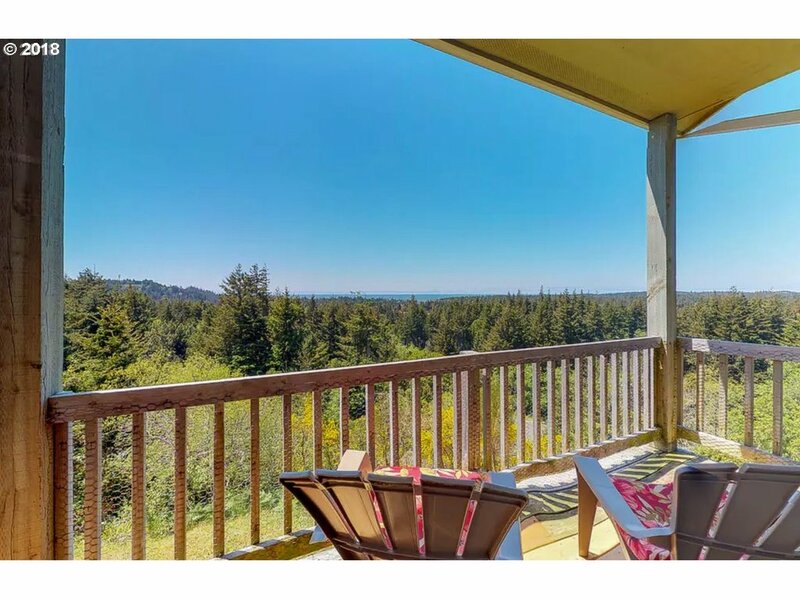 "Dramatic scenery at every angle from this 3-story custom Oceanfront home overlooking a very active whale feeding cove, commercial boat dock, Ocean cliffs, tree tops & mountains. Elevator shaft. Living rm w/ panoramic views, view deck, & fireplace. Master suite on top floor w/ Maax air soaking tub & reading nook. Studio apartment w/kitchen & bath, sep entry. Bonus workspace w/sep entry. Handcrafted custom woodwork throughout is amazing." 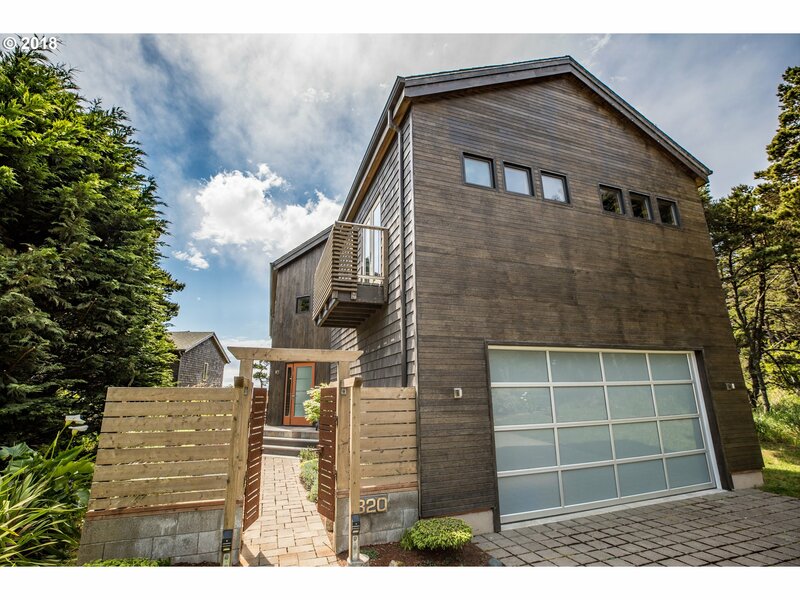 "This designer home is a hidden gem on the Southern Oregon Coast, with its bright living space and spectacular ocean views. Its contemporary architecture features an open floor-plan with vaulted ceilings, floor-to-ceiling windows facing the coast line panorama, and apparent beams and trusses. High quality materials and appliances make it a very energy efficient home. Email or text listing agent for a complete brochure!" "Country Mansion On The Hill! Pacific View Estate Vacation Rental! Western Antique Charm w/Contemporary Sophistication. Features Grand Entry/Foyer w/Dual Staircases, Formal View Dining, Formal View Living Rm w/Fireplace, Den, Gourmet Kitchen, Pantry, Upper Level Study/Library, Spacious Master Suite w/Fireplace, Panoramic Views, Sitting Rm, Wet Bar & Unsurpassed Master Bath. Includes Lower Level Exercise/Bunk Room & Sun Decks on 2 Levels!" "Very private home at the end of the road. Private Beach access to one of Oregon's most pristine beaches. Views of ocean ,rocks and Port Orford Reef. Home has been operated as a successful vacation rental. Open and spacious floor plan make this home a one of a kind. Bring your walking shoes and enjoy the great outdoors right outside your lovey deck." "A home with timeless elegance. Warm open floor plan with abundant natural light from the multiple skylights and large viewing windows of the Pacific Ocean. Detached Guest quarters and Studio look upon the gardens and landscaping. Quiet and private, relax in the hot-tub off the expansive deck,snuggle by the fireplace or create culinary masterpieces in the gourmet kitchen.This stunning home is a must see!" "Serene location on Garrison Lake. Custom home with beautiful interior. Tastefully decorated and meticulously maintained. Some furniture is included. Great fishing on the lake or from your dock. Enjoy the wildlife viewing from your large picture windows. Large deck over looking lake and two car garage with boat storage and door for lake access. Lovely propane fireplace. Close to parks and city services." "Spectacular 180-degree views of ocean, Redfish Rocks Marine Reserve, Humbug Mtn, Battle Rock Park, one of the best beaches on the coast. Minutes to world renowned golf courses. Watch whales from large living room, family room, formal dining room, kitchen. 2 BR w/ generous storage. Lg workshop/studio w/ bath can easily make an apartment. Apple tree w/ large garden area. 3 car garage w/ one at RV height. Split it into 3 lots each w/ view." "Ocean and Humbug Mountain View! This 3 bedroom 2 bath custom built home is just waiting for you. 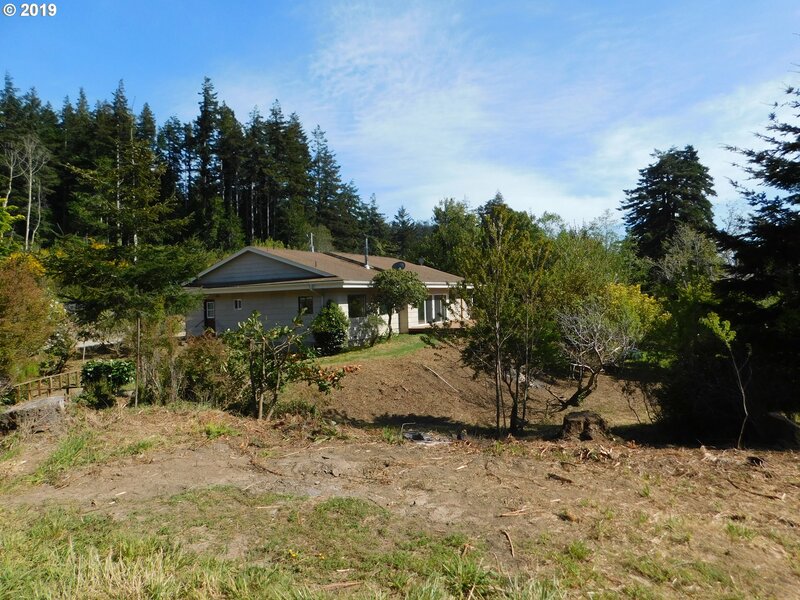 Built in 2002, this home has all the character and charm that the town of Port Orford maintains. Master bedroom sits on the main floor, living area has vaulted ceilings and beautiful ocean views. Would make a great home or Vacation Rental! Come on home to your own piece of paradise!" "Country living at its finest, beautiful oak beams compliment this adorable cottage with an Ocean view from almost every window. Cherry, Apple and Lilac trees surround the fully fenced yard. A dutch door in the kitchen lets in the Ocean breeze and steps out to the patio.The enchantment starts as you enter thru the 1700's Church door from England into this open concept, elegant, story book home." "PRICE REDUCED! UNOBSTRUCTED OCEAN VIEWS FOR MILES! Beautifully renovated home with open floor plan, lots of natural light and wind protected on the coast overlooks world class surf spot. Easy ocean access. Enormous insulated shop, small creek and pond, dog run and private yard. Was used as a vacation rental. Two possible living arrangements. Walk on the beach to town. 2/20 amp services. Second spring is used for irrigation." "Good Morning Sunshine! Cathedral ceilings and Trapezoid Windows let in the light and warmth. Relax in the hottub or one of the multiple patios as you drink in nature from the abundance of fruit trees in the Park-like setting.Horse Barn with Plenty of pasture to graze.Nestled amongst the trees for privacy,yet minutes to town,beaches,lake and rivers,with an outdoor shower for the surfing enthusiast! 2nd Dwelling with 1bd/1ba on property." "GREAT INVESTMENT OPPORTUNITY~ Over 4 acres of income property! Features a two bedroom home with large great room, a 61 X 36 pole barn, shed, a 2 bedroom manufactured home, a 2 bedroom cottage, room to park a trailer, and a large fenced garden area!" "A great family home with updated features. Enjoy the Country setting from your outdoor patio for BBQ's to your large enclosed Sun-room. Modernized kitchen with plenty of storage and a unique farm sink.Large fenced backyard for the kids or animals,fruit trees and plenty of room for a Shop.Beautiful Hardwood floors and Pine trim throughout the home." "Secluded and Private this beautiful Log Cabin Chalet is complimented by the large Ironwood deck with a covered Porch. Large 26x48 shop with loft, RV parking. Relax and enjoy the abundance of flowers, fruit trees, wildlife and gardening. Minutes away from Beaches,Lake and town.A must see, this won't last long.Private road, no drive-by's please." "PRICE REDUCTION!! 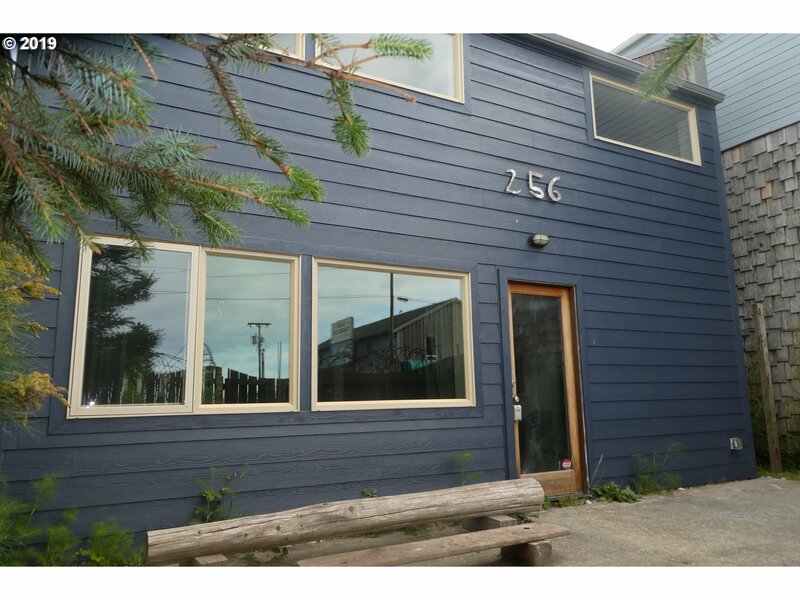 Incredible investment opportunity Tri-Plex Rentals located above the Port Orford Harbor on the Scenic Oregon Coast.2 2bdrm/1ba apts,1 3bdrm/1ba apt,4 garages 3 storage units.Recently remodeled 2 of the apts,good rental history.Centrally located in town,by the beach,shopping,restaurants, State and City Parks. Live in one and rent out the others." 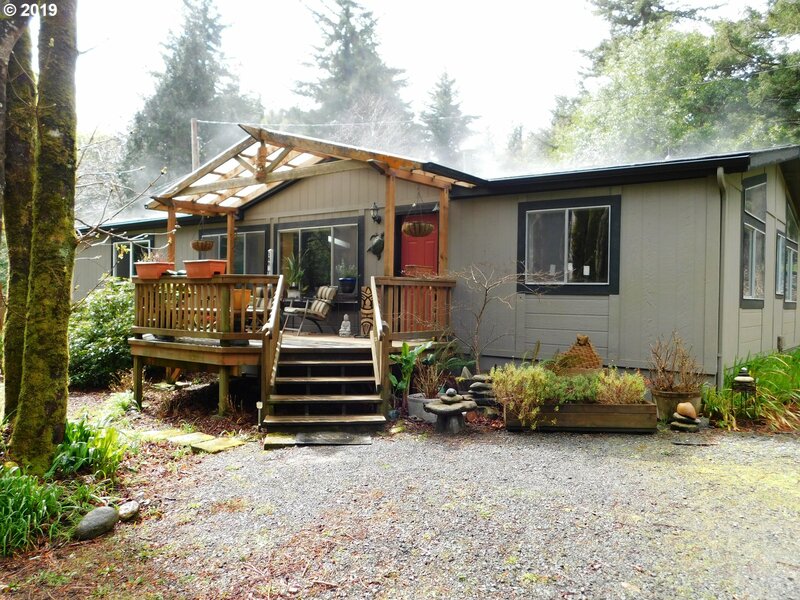 "One of a kind ocean view live/work in the heart of Port Orford and next to the beach/Battle Rock! Light,open & private flex-zoned, Modern/Scandinavian property. Enter through protected private courtyard. Stunning mix of industrial touches (concrete floors, loft ceilings, subway tiled kitchen/bath) & warm modern details (wood ceilings, exposed timber, MCM fireplace, full wall of windows onto lush backyard). Stellar rental history." "Beautiful Sunny Location on top of Coast Guard Hill. Newer 2006 custom Home, Very nice wood through out. 2 bedroom 2 bath, Lovingly landscaped for easy maintenance. Close to Headlands State Park and trails. Finished with quality products including, Red Cedar Siding, Granite counter tops, Custom Maple cabinets, 6 burner Jenn air cook top, Wood stove, kohler plumbing fixtures, 2 car garage and Bonus room office/art studio." "OCEAN VIEWS of the coast, unsurpassed horizon and lighthouse views that cannot be obstructed. Gorgeous home on the hill with city utilities and open concept living. Neat as a pin custom home. Main living area is on top level, bedrooms on first level, both have wind protected private decks. Perfect home for a family or vacation get a way. Great investment! Turn key living close to town and out of tsunami evacuation zone." "Surrounded by an abundance of Fruit trees this private and secluded ranch home sits on almost 9 acres.Large spacious home with floor to ceiling windows in Living-room to capture the beauty of the garden and Orchard. Hardwood floors throughout living and dining area,luxury size bedrooms, Pantry and large laundry/storage room.The Pond and seasonal creek add to the ambiance of country living." "VACATION RENTAL SPECIAL!!! WALK TO THE BEACH! 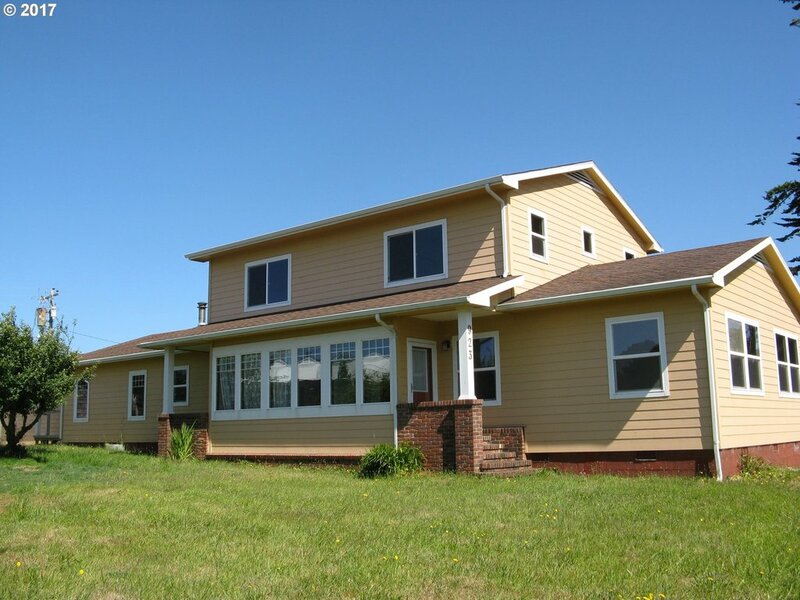 THIS HOME IS ZONED FOR RESIDENTIAL OR COMMERCIAL! Perfect for a B&B, air B&B, doctor office, group home, business, nursing home or just a large family. 14 rooms with 4 bedrooms, 4 bathrooms (3 with tubs), Large kitchen w/island, formal dining, living room, family room, nice yard and 2-car garage. Totally remodeled and ready to move-in. Great location close to everything. Lots of hardwood." "PRICE REDUCTION! Room to Dance in this newly remodeled Open concept floor plan. Warm and Bright Kitchen with Hickory Cabinets,Marble counter-tops and beautifully Tiled floors throughout the home.Large level yard, plenty of room to build a shop. 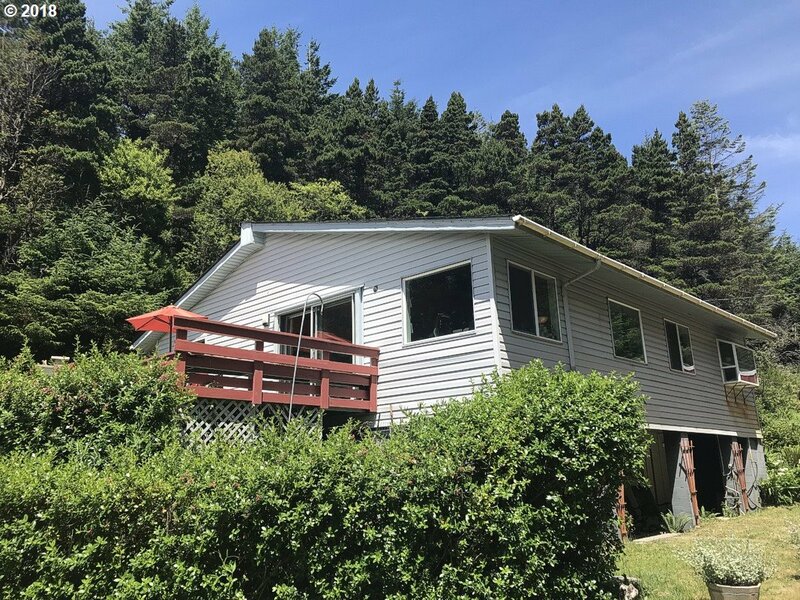 Close to Rivers famous for abundant Steelhead runs, near the Ocean and Beach's, State Parks and Garrison Lake.The Price is right, Big Home,Little Budget!"